Hi guys! 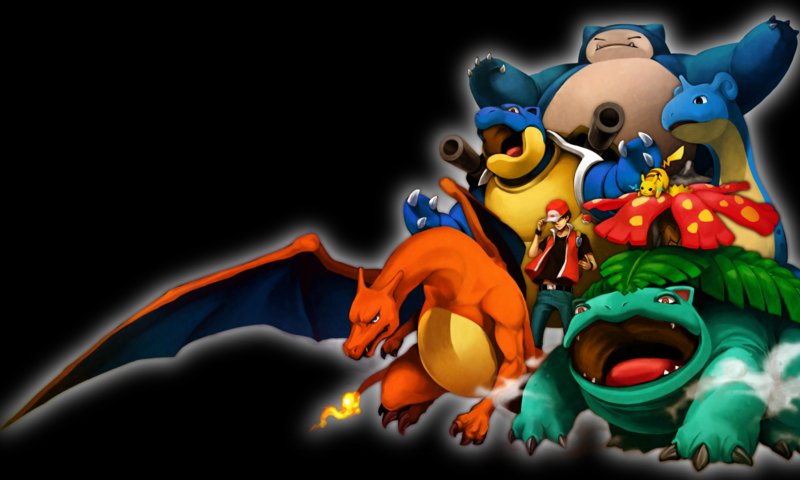 Today I will be summarizing and reviewing the 7th episode in Pokemon Black and White. Ash and the gang set off for Nacrene City. Our heroes take a quick lunch break. Iris gathers nearby fruits and Cilan uses his chef skills to cook up a delicious meal. Wanting to eat seconds, Ash and Iris get up to get some, but are dismayed when there is no more food. In some nearby bushes, they find that the culprit is a Snivy. Excited about the opportunity to catch a Grass Pokemon, Ash sends out Pikachu to battle her. Ash ends up protecting Pikachu from Snivy’s Vine Whip and Snivy runs away, but Ash is determined not to give up. He sends Pidove to track down Snivy and continues to run through the forest. Ash finds himself mired in a marsh pit, but Iris and Cilan are there to rescue him. Meanwhile, Giovanni informs Team Rocket that a Unova-based secret organization might be alerted to their presence and recommends them to use caution. Jessie spots Snivy in the bushes and attempts to catch her, but she evades Jessie. Snivy decides to take a nap on a hill and Pidove is able to track her. Upon spotting Snivy, Ash’s Oshawott is exciting and ready to battle despite the type disadvantage. Oshawott is unsuccessful, becoming immobile due to Attract. Our heroes chase Snivy to a stream and Ash sends out his Tepig to battle. Tepig is also immobilized by love which forces Ash to resort to his last unused Pokemon, Pidove. Pidove and Snivy fight a hard battle, but in the end, Ash is victorious and finally catches the elusive Snivy. I didn’t think I would enjoy watching the new anime as much as I have been. If any of you are unsure, definitely try it out! On to the review, Cilan’s cooking abilities reminds me of Brock. I don’t know what’s up with Iris; she keeps belittling Ash. When Misty used to belittle Ash, he would get angry, but he is pretty chill in the Black and White series. I like his demeanor. It was predictable that Ash would end up catching a Snivy. After all, it would be a little strange to only catch 2 starters. I appreciate this episode because it defines the gender of Snivy and Ash’s Pokemon. We find out that Pikachu, Oshawott, and Tepig are males. Snivy and Pidove are females. I wonder if it is true that Snivy left her previous trainer and that is why she is so powerful. I mean Snivy really did a number on Ash’s Pokemon. Any Pokemon that was susceptible to Attract was rendered useless. I like how Pidove was the one to weaken Snivy. I was just thinking we haven’t got to see Pidove much. I was hoping not see Team Rocket this episode, but I am thoroughly pleased to see that their involvement was limited. They did have a brief encounter with Snivy, but they did not interact with the main characters in any way. I still think that James is overdue for a Pokemon. I really enjoyed the scene of Snivy napping as well as his smug demeanor. It was funny when Snivy taunted Ash after beating his Tepig. I definitely recommend this episode. It has great animation, especially during the battle between Snivy and Pidove, and the episode is about one of my favorite Unova Pokemon.